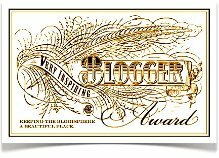 Very Inspiring Blogger Award | Nan Tubre Writes . . . Many thanks to Mike Lince (Applecore http://globalexplorerclub.wordpress.com/) for sending me the Very Inspiring Blogger Award. Yes, it is my first ever, and I am ridiculously happy about it. It’s a big deal to me, kinda like being crowned Mrs. America. Haha, not really, I’m joking. It’s not as big as that. Um, never mind, yes it is. So, to receive this award, I am required to name at least seven, maybe ten, interesting things about myself including what inspires me. Ok, that’s not hard. If I can’t do anything else, I can talk about myself. The kicker is choosing something interesting to disclose about myself. I think it would be much more interesting if I wrote what other people have said about me. Completely unbiased opinions, of course, and it’s not all good. But interesting? Not necessarily. Maybe insanely funny. Or just insane. Why would I do it this way? Because I didn’t bloom until later in life and grew up without a heck of a lot of confidence. Therefore, it has been my burden to seek out validation of my own worthiness. One could say it is the foundation and inspiration for my late-in-life enthusiasm to pursue goals I have an intense desire to accomplish. #1. My precious husband and I have been married for 12 years. Being married took some getting used to considering I was single for 20 years before I married him. He said he is very proud of me. My first husband…eh…not so much. #3. A priest friend said he was very happy to receive a portrait of John Paul II that I painted for him. It’s a fair likeness and I appreciate his kind words. #4. The librarian in Ville Platte said I must love to read because I sure do check out a lot of books. #5. Before my God-mother (see this blog post https://nantubre.com/2012/01/30/bessie-delrie/) passed away from lung cancer, I gave her a rosary that I made especially for her. She told me she gave my first rosary to me and I gave her last one to her. It was a deeply meaningful moment between us and I am thankful that she encouraged me to continue my spiritual journey in the Catholic tradition. #6. I had a long career as a respiratory therapist that took me to a lot of places. I enjoyed it (most of the time) and received an accolade or two from time to time. My proudest moment was passing the National Registry Exam to be a registered respiratory therapist. I was 40 years old at the time. I had good grades although in math and related physics, I was known to put my head on the desk and cry because I’m such a right brainer, I didn’t think I would ever get it. I loved helping people, and most of my patients liked me. But not all of them and you have to expect that occasionally when you work with the public. One time a doctor I thought I knew told me I wasn’t all that good at it. Don’t ask who said that, just know that creep isn’t on my list of favorites. In fact, nobody knows where he is now. ‘Nuff said. #7. Here something odd – As an Air Force brat, I have lived all over the world, but I’ve never been to Canada or Mexico. Can you imagine that? #8. Jesus loves me, this I know for the Bible tells me so. Talk about validation! Not only that, I finally ascertained that because of His love I am worthy and I am capable of accomplishment. I became empowered to begin doing those things I always wanted to. Like write. And create. And love. The #8 statement is my daily inspiration. Now I want to tell you what inspired me to write Secrets of the Old Ladies Club . During my work in health care, I asked many, many patients of all ages how they feel on the inside. The older people told me they felt the same in their golden years as they did when they were 18 years old. Amazing. From that revelation, I penned the motto of the character named Bethany: “Our bodies may grow old but our souls don’t. They just grow”. Think about it and go with it. Hey ya’ll, don’t forget to pray for peace. The whole world still needs your prayers. Congratulations Nan!!! I can’t think of anyone who deserves this more than you. You are so talented in so many ways. I am so very proud of you and so happy to call you my friend. Love you bunches!! !